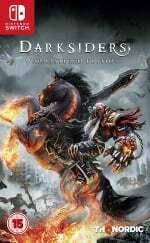 Remember yesterday, when Darksiders: Warmastered Edition was accidentally leaked early by its own publisher? Well, today the game has been truly confirmed - properly this time - and it's set to arrive on Switch in April. Already available on PC and other consoles, the game will launch on Switch on 2nd April both digitally on the Nintendo eShop and also physically at retail. The recommended price for both versions will be set at £25.99 / €29.99 / $ 29.99. So, not only was the announcement real, but we don't have too long to wait until we can get our hands on it either. Lovely stuff. Are you excited for this one? Do you think we'll see Darksiders II or even the much newer Darksiders III on the console any time soon? Let us know in the comments. Glad it's coming physical but $30 is a bit steep imo. Think I paid 4 bucks for it last year on the ps4 and even still it's 20 regular price. Seems high with nothing new added. Add this to the wait for sale list. April doesn't need anymore games......they want sales right?? This needs to launch in March or it will get roasted! Yay, thank you for not being release on AFD. Good price, definitely something I will buy it! $30 isn't a bad price, but I already have this and 2 on Steam. Bayonetta 1 and 2 are all I need for my action game fix on Switch for now. Buying this in a heartbeat. $30 is my speed. @Giygas_95 I finished the 2nd one (also on Wii U). So boring I don't even remember the ending. @Rhaoulos It was a bit boring at times. @Spectra I played it on my Pro only once because it makes the Pro go wild. Also tried it on the One X and there it made the fans run at higher speeds. Not like the pro but still. I would love to play on the Switch if it is optimised better. at 25.99 physical... its hard not to pick this up day one. 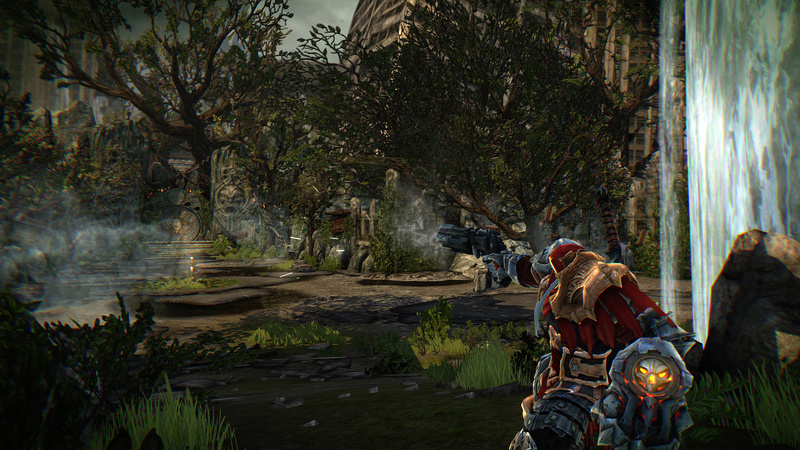 I really wanted to like the Darksiders games. Bought this and 2 on Wii U and they just never hooked me. The gameplay also always felt a little too... floaty? Light? I dunno. And repetitive. Didn't even realize another one released awhile back on PS4 and XB1. Third time buying this... and no regrets about it. @hihelloitsme 3 is really really different. 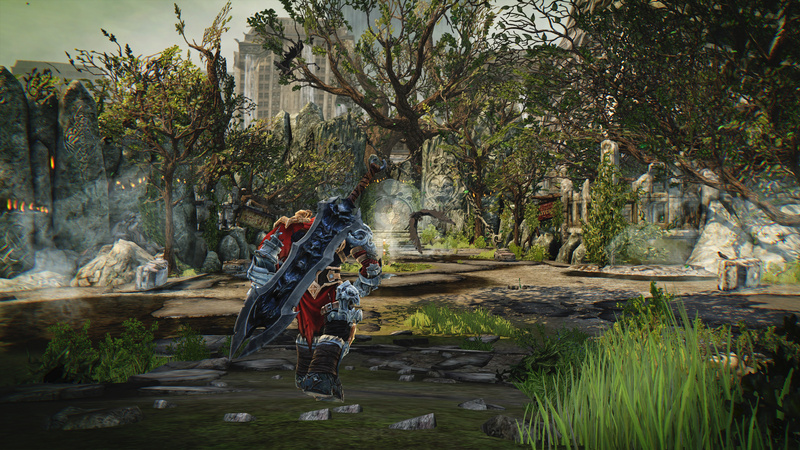 I mean there's a coherence to it that it still seems like Darksiders. But where 1 was a blatant Zelda clone, and 2 was kind of a mix of Zelda and some nods to WoW (which was big at the time), 3 is a full-on Dark Souls inspired game that borrows a ton of systems from it. It gets close to being a clone. It's weirdly fun, though the map design is uninspired, and is a bit more carefree than DS, but it's absolutely a "git gud or get destroyed" game, unlike 1 & 2. It just released in December. Already played it on PS3, but this is such a good game, that I might double dip in order to revisit it on the go. I have it on PS4 but never finished it. Maybe I will pick this one up but I have heard the second is much better. @Spectra @hihelloitsme Yes it is. Both 4K and 60FPS. I am speaking only for the PS4 Pro. Just stand next to Vulgrim with his blue mist and the fans of the console start getting extremely loud. 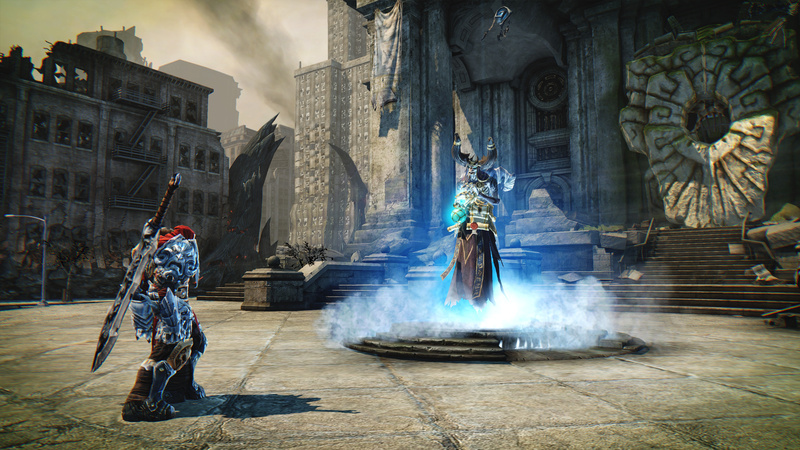 The second one Darksiders 2 - it is quiet on the fans but has coil whine. Again on the Pro only. I never owned the first one, mostly watched my buddy play through most of it. Maybe once it goes down to 20 or less i'll pick it up since I could definitely pick it up for much less than 30 on PS4 if I really wanted to. @NEStalgia interesting. Having never been attracted to DS, I may skip 3 unless it one day becomes free on games with gold. People always reference Zelda with Darksiders titles and I gotta say... maybe I just didn't get deep enough into either title but to me both titles just felt like hack n slashes. @Zuljaras oh wow. Sounds like a poorly optimized enhancement. While I grabbed it on GOG for much cheaper (it was one of the sale offers they chose to perk my account creation with), it's a definite double-dip as with every "Switch vs GPDW" case, and going up for such a price shortly before my first April payday gives the game pretty good odds out the gate. I loved this game on the PS3. One of the best 3D Zelda clones and I will totally replay it when it comes to Switch. Hopefully, if it does well, the sequel will come around. And if players take kindly to that one as well, then THQ Nordic will almost be out of excuses on the topic of Darksiders III. I'm already physically hearing the guys at Panic Button squinting their eyes and cracking their knuckles. Pretty sure I picked this up physically for Wii U on release for £15. The trailers music was too loud. I couldn't hear what they were saying. Looks good. @hihelloitsme Well it runs perfectly and looks amazing but it is very taxing on the hardware for such old game. @hihelloitsme I never was attracted to DS, but I have to say I got it on Switch and became mildly addicted (at first), but there's also a lot that doesn't click with me about it. Darksiders 3 is definitely a "streamlined" Dark Souls that maintains the core combat/difficulty loop without the really cryptic garbage, crazy confusing map, etc. It's still an action game at its core, rather than DS that's really an RPG at it's core. And combat is more action based than the more rigid DS series. I don't dislike Dark Souls, but I do have to say Darksiders 3 is kind of "the fun version of Dark Souls." But....it is brutally difficult until you learn how to dodge/counter reliably and repeatedly against given enemy patterns. I actually expected given it's kind of quiet release that it would be one of those games selling half price in PS/Sony stores, and would be a failure, but I'm surprised to see I've only seen 15% off sales or so...it's holding it's value, which is surprising for a "B-tier" series like Darksiders....even Tomb Raider got a 30% cut in 4 weeks. Cool, I’m down. $30 is a decent price considering I’ve never bought the game and I want it on Switch. Ya know what other ports of hack-n-explore I could go for? Dante’s Inferno and the Castlevania LoS games. Was hoping for $20 like Onimusha price. Maybe digital will be cheaper? @Zuljaras either the frame rate is uncapped and doing that allows the GPU push out hundreds of temp raising frames a second or having that mist effect upclose pushes the fillrate to its limit. Very neat never played this but I'll be picking it up. Well, it's actually cool to see a company selling remastered games or remakes on the Switch for less than full retail price ($80). At $40 (Canada), it is still steep for what the game is (you can get it for far less pretty much everywhere else, as with most 3rd party and indie games on the Switch), but it isn't too bad. If it was really $30 in Canada too, I would've probably bought it without hesitation. But still, I'm glad some companies are raiding their back catalogue for titles to release on the Switch. Not everyone played those games when they were original released. Can we have the third one please? Y'know the one that the other consoles got, the new one, the one I haven't played. In all seriousness I'm starting to get concerned with all the ports coming to the switch and I think the system deserves better. Nothing wrong with ports or remasters alongside the new release like what activision did with infinite warfare and the modern warfare remaster, but the problem here is that the switch is getting an 8 year old game in place of what should be the third installment of the series. @MEGAMAN_D there's obviously a market for it so why not eh? But that is about it. Another underwhelming release on Switch from a 3rd party. And you leave everyone hanging on #2 or #3. This is a $19 game at best. This released on Wii U for less than £15. I have 1 and 2 on Wii U. I don't think I'll be double-dipping with this franchise. It's not bad but I don't think it's one of those series that I would love to play anytime, anywhere. I don't mind being tethered to my television for it. Plus, I'm probably not going to re-play them anytime soon regardless. I didn't play the first one, will keep an eye on the physical copy. Probably my favorite Zelda-clone in recent memory. Can't wait for the sequel on Switch as well. Darksiders III? Probably could do without that one. @Zuljaras Genuine question, what's coil whine? Very happy to see this coming to Switch. 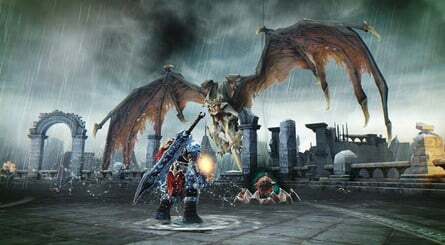 Actually received Darksiders Warmastered Edition for Wii U a few years back for Christmas, and enjoyed the game. @beazlen1 Faint buzzing sound. Rattle-like. It comes from the inductors of the console when electricity passes through them. It could be loud in some consoles or very quiet in others. However I found out that it also depends on the game. As you can see I am pretty obsessed with it. Although....I've noticed both Pokemon Let's Go (Switch) and KH1.5 (PS4 Pro) both emit a really high pitched squeal that I find annoying and deafening....not the coils....in the audio. I'm guessing it's artifacting of heavy compression showing audibility up in the 7khz+ range. But it drives me crazy to the point I have to take my headphones off in those two games. @NEStalgia That sound like the hidden frequency in Pokemon Lavender Town theme for the Japanese GB version that only kids could hear and commit suicide. Just kidding. It was confirmed it was fake rumour ... or not!!! I swear half of the comments in these sections for any news is "I didn't care for it" or "It's too expensive, gonna wait for a sale". NEWS FLASH: NOBODY CARES!!! I have DARKSIDERS 2 on WiiU. Sold my physical copy because I snagged a download copy during a Humble Bundle sale. Never finished it. Too much imitation of better games. I did play the demo for this one on 360 and I liked the dungeon I played quite a bit. Felt like Zelda. Might give this a go when it hits a sale. Nice price point. With GCU that's $23.99 for the first HD handheld hybrid version of Darksiders! Run that. No longer need to play on my GPD Win 2 on the go. @WhiteTrashGuy Coming from someone named White trash, I rest my case. Ok, it's also in Fuscia City, and also during battle music, so it's everywhere more or less...but I did first notice it in Lavender Town...that's freaky. Doesn't explain Kingdom Hearts Final Mix though. I thought at first it was a ground loop or power line noise to my audio interface or headphones since it was the same thing on two consoles (Switch, PS4), but it doesn't happen in Smash, and it doesn't happen in Knack 2 or WoFF on PS...so it's the specific games....but how is there a continuous high frequency in these games and nobody noticed?! I wish they made the price $30 when skyrim came out, because skyrim was already 5+ years old. So i think the price on this game is perfect for it being a game that been out for other consoles for a while. What happened to february and march Nintendo? @Giygas_95 I liked the 2nd one and completed it on Wii U, but I did find that the combat could just be button mashing and the skill unlocks were really just fun bonuses. I might go for this though, because, well, button mashing is fun. I'll pass since I already have this on the Wii U (and still need to play it), but I'd consider getting Darksiders II on the Switch if it ever joins the port train. Bought and played it on Wii U years ago. It was also half as expensive. But hey, what else is new. Seems to be the story of Switch's life! Don't know anything about this game, but it looks cool! @Sculptor I remember when this came out for the Wii U... Several months after the Switch was released. Everybody was shocked. We were so used to "we're delaying the Wii U version for optimization" actually meaning "we canceled it." And of course with as poorly as any M rated game not named Bayonetta did on the Wii U, it's hard to see how Nordic saw any potential for profit. I bought a copy, partly out of amazement that they actually delivered on their promise. I won't buy it again, but hopefully they fix the bugs for the people who do buy this version. Why do people say this is "Zelda like" ? Is there puzzles, dungeons, items, varied combat? @gcunit it's even cheaper on ps4 and xbox one, no reason to get this unless the switch is your only console. It follows the basic formula of the Zelda games of its time. Generic third person person melee combat and that whole go to area, get item, use it to solve puzzles in area and fight boss thing. It's a pretty good game if that's your thing. It's not "great" though and nothing about it stands out but it doesn't really mess anything up either. $30? They're learning, it seems. Can we expect more ports to not be full price in the future? Probably not.